Innovative design enables a compact footprint, so it occupies minimal space but retains a high level of performance. The Nimbus base is formed from a single piece of extruded aluminum, a material that provides superior temperature regulation. The single-piece construction offers greater stability, producing highly repeatable results. The weighing sensor in the Nimbus is crafted from a single block, and contains fewer parts than a traditional force motor balance. This optimized internal mechanism is fabricated using hardened materials, helping the Nimbus tolerate rigorous laboratory use. Efficiency in the mechanics, plus improved processing power of the electronics, leads to excellent performance. Forensic science is constantly evolving, and there are new techniques and instruments used every day alongside tools that have been used by investigators for centuries. 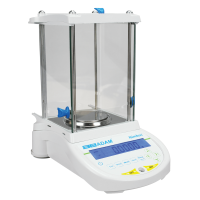 Analytical balances are highly sensitive lab instruments designed to accurately measure mass. Their readability has a range between 0.1mg - 0.01mg. Analytical balances have a draft shield or weighing chamber to prevent the very small samples from being affected by air currents. Many weighing balances and scales feature GLP compliant printouts as a selling point. But what makes a printout GLP compliant? What does GLP mean? Why is it important? 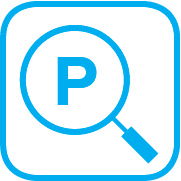 Does your balance need to offer printouts in order for your lab to comply with GLP? There are a lot of different pipettes out there, and only specific kinds can be calibrated. According to pipettecalibration.